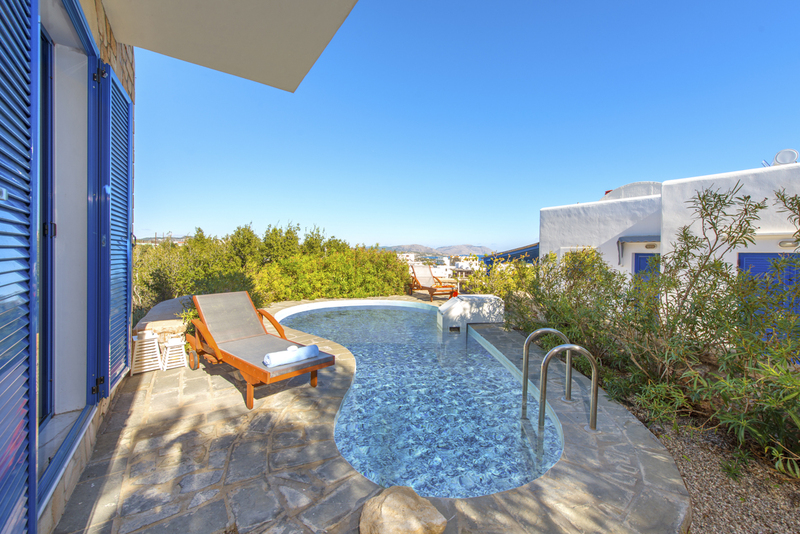 Blue hues abound at two-bedroomed Villa Gennadi: from the classically Mediterranean shutters to the turquoise Aegean Sea in the distance and the crystal-clear waters of your private swimming pool. 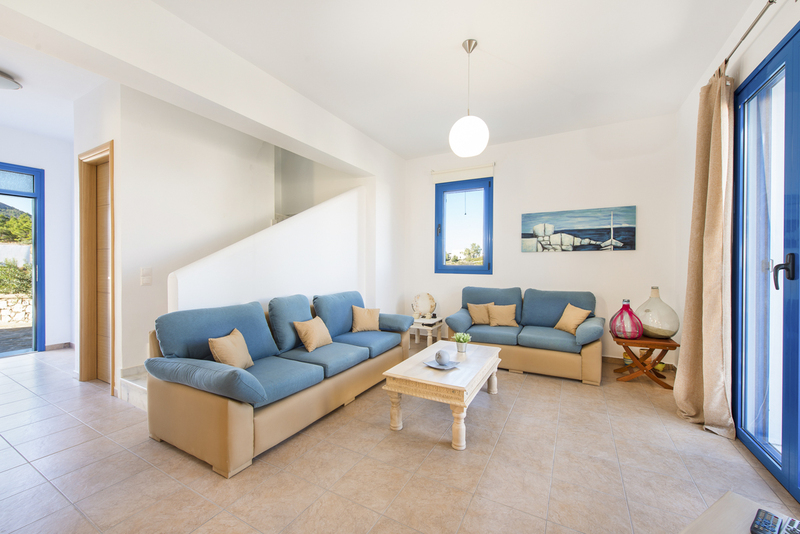 This charming cube-shaped villa on the Greek island of Rhodes is perfectly sized for small families or couples and is ideally placed for both a quiet, relaxing holiday and as a starting off point for exploring the island’s significant attractions, beautiful beaches and spectacular natural beauty. This stone-built villa exudes traditional flair with its whitewashed walls and its paved outdoor terrace dotted with local plants and trees. 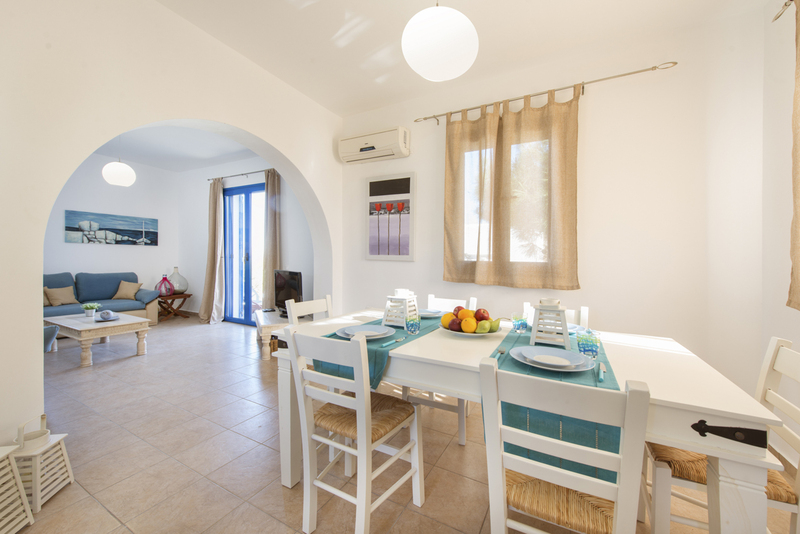 The villa has two floors, and you can enjoy magnificent views over the southern coastline and the quaint village of Gennadi from your balcony or garden area below. On the ground floor, you’ll find the comfortable living room and dining area and a fully-equipped kitchen. 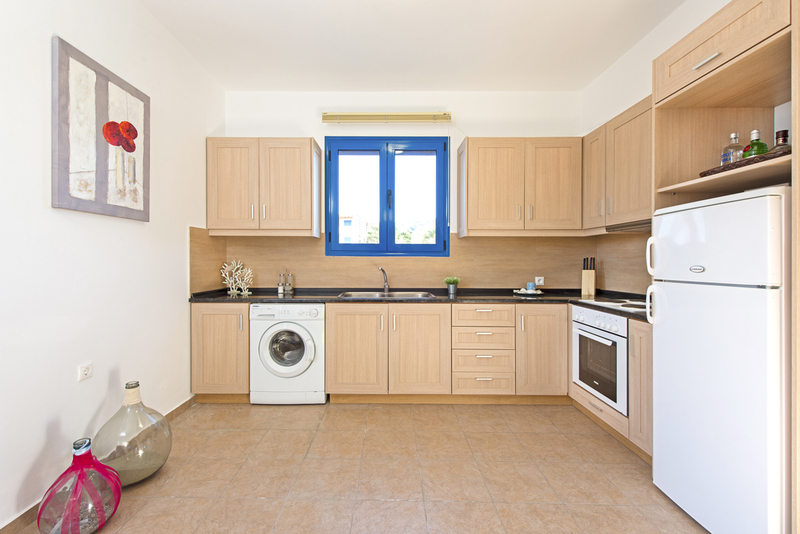 Thoughtful extra facilities include a flat-screen TV and washing machine. 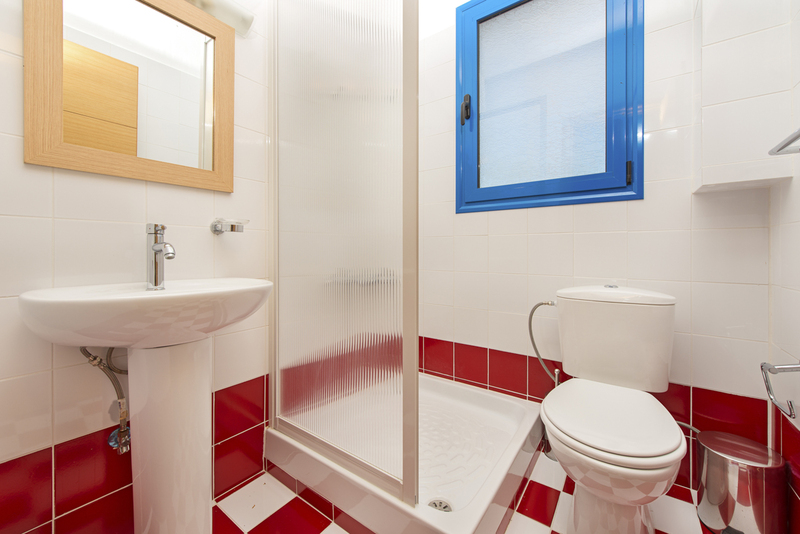 Upstairs are the two spacious bedrooms, both double, as well as two bathrooms so you won’t be fighting over the shower in the morning. 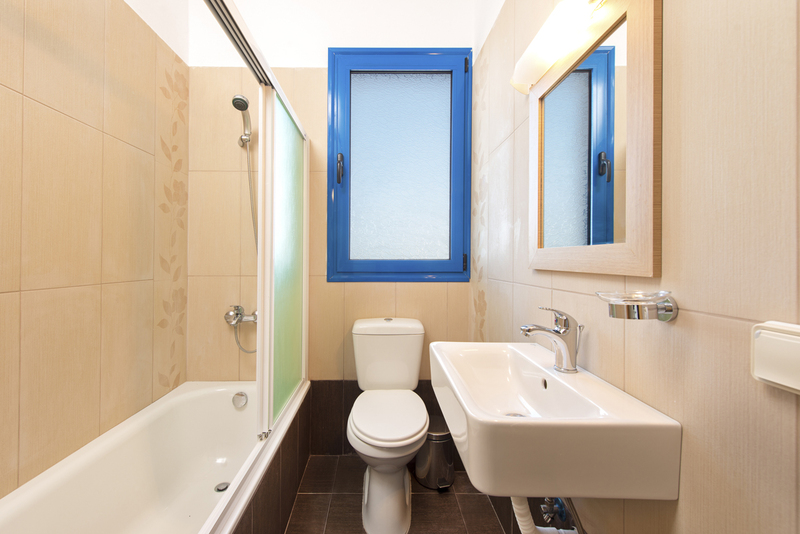 All the rooms are decorated bright and modern in style with natural-coloured furnishings, and there are plenty of windows letting in the beautiful Greek sunshine. Enjoy breakfast on the indoor dining table before donning your swim gear and finding your prime sunbathing or relaxing spot in the shade. With loungers and chairs dotted outside and an extended canopy-style section providing cover, you won’t have any trouble finding either. Villa Gennadi overlooks the beautiful village of Gennadi on the southeast coast of Rhodes. This peaceful spot boasts a Blue Flag beach, argued to be one of the best on the island. The pebble and sand stretches along the coast for around 6km, so you won’t have any trouble choosing a sunbathing spot. Whether you’re taking a cooling dip, playing with the kids or relaxing with your favourite holiday read, there are beachfront bars and seafood stands to keep you going through the day. In Gennadi centre, you’ll find plenty more places to grab a drink or a bite to eat. Most of the eateries are family-friendly traditional-style tavernas. You’re likely to be met with a delicious menu of home-cooked Greek dishes, like moussaka, tzatziki and skewered meat souvlaki. Take-homes for family and friends are easy to come by too with souvenir shops all around the village. By night, Gennadi is known for its beach parties, where you can dance on the sand around romantic campfires. When you fancy a heavier hit of retail therapy, you can drive about half an hour to Lindos. The former fishing village turned pretty town hides jewellers, handicraft shops and boutiques among its network of narrow lanes. 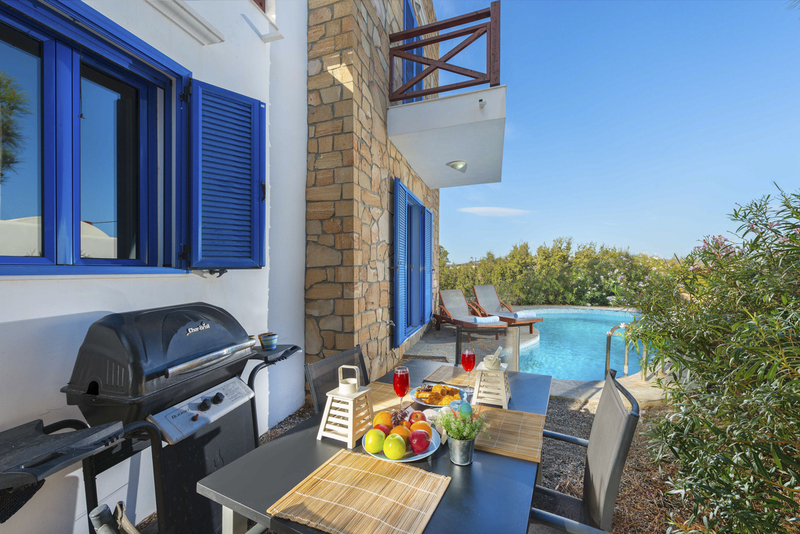 Look out for the island’s famous decorative plates or fresh local produce for cooking up a storm back at the villa. The town is also renowned for its stunning clifftop acropolis. There you can immerse yourself in ancient history at the monumental temple, castle and church. For exploring further still, the cosmopolitan centre of Rhodes with its old and new town is a must. The old town is one of the best-preserved Medieval towns in Europe. You can walk along the narrow paved streets, visit the impressive Venetian Castle and the Byzantine churches or stroll around the charming old port. There’s also a museum there with fascinating artefacts. For another fun day trip, there’s the Valley of Butterflies – a lush canyon that’s home to beautiful butterfly species.